Lakruwan Wanniarachchi./Agence France-Presse — Getty Images. 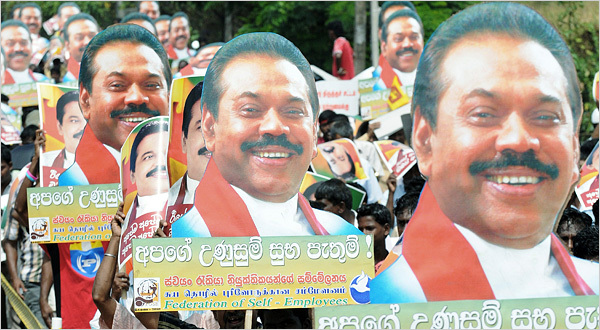 Supporters carried portraits of President Mahinda Rajapaksha of Sri Lanka outside parliament in Colombo on Wednesday. Published on September 23, 2010 07:56.